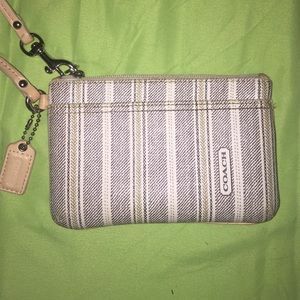 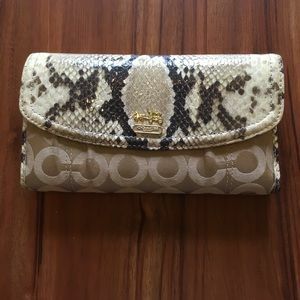 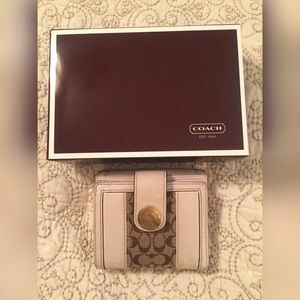 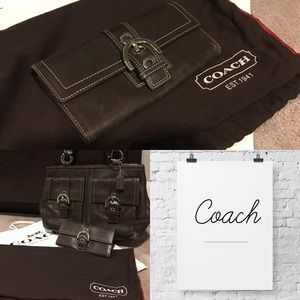 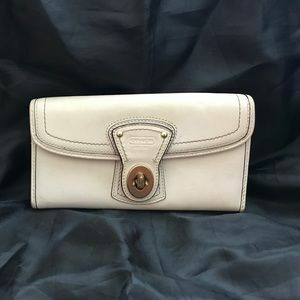 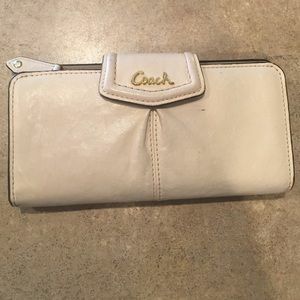 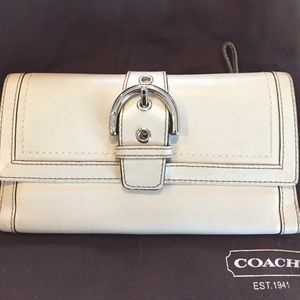 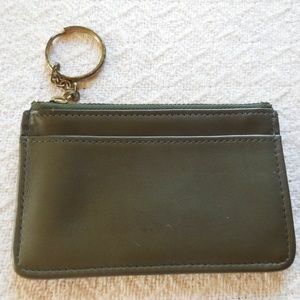 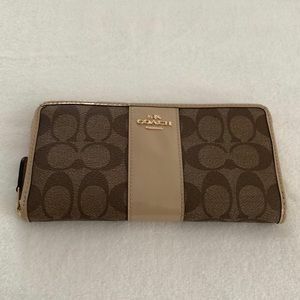 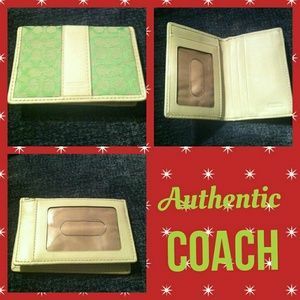 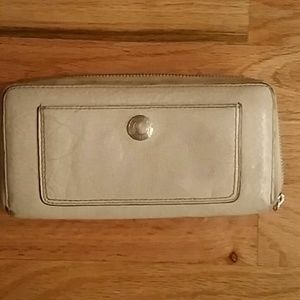 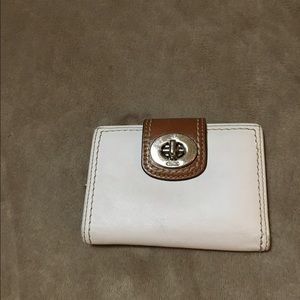 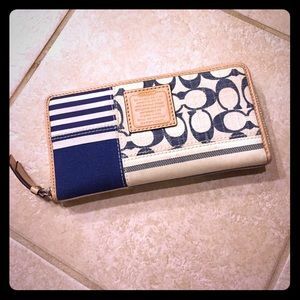 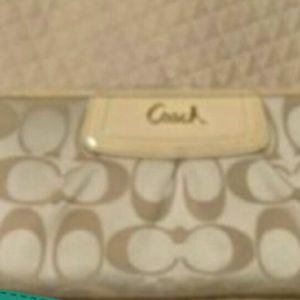 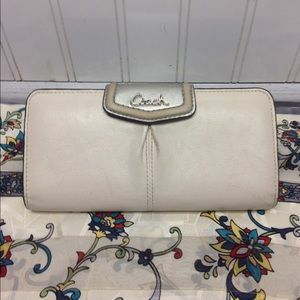 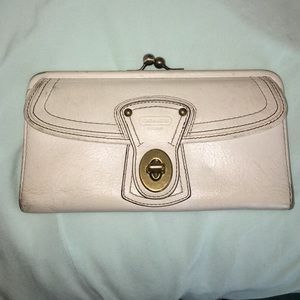 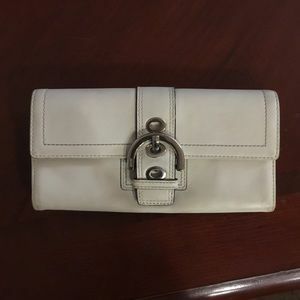 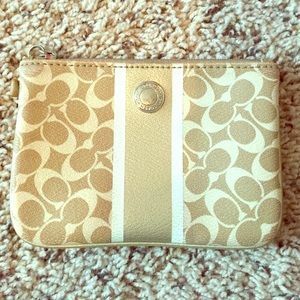 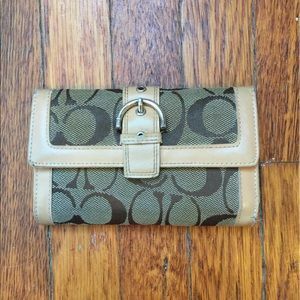 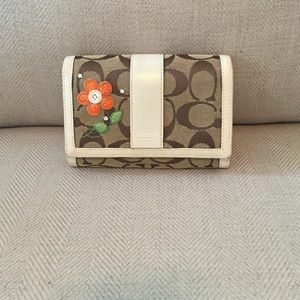 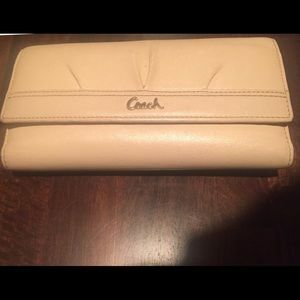 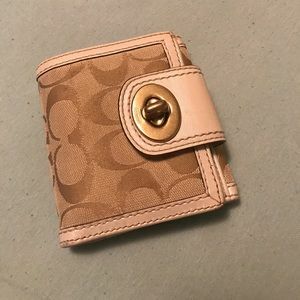 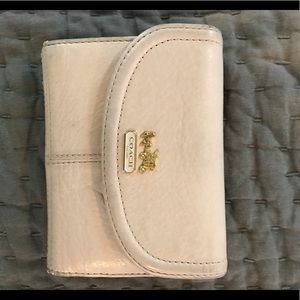 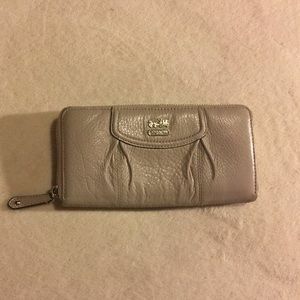 Size: 5" x 3" x .1"
Coach cloth zip around wallet. 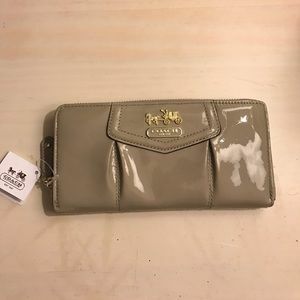 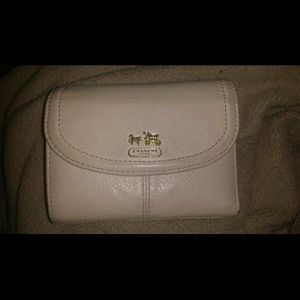 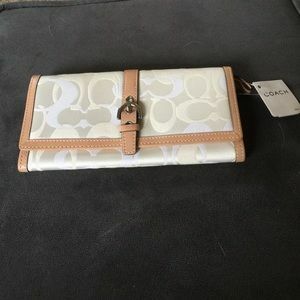 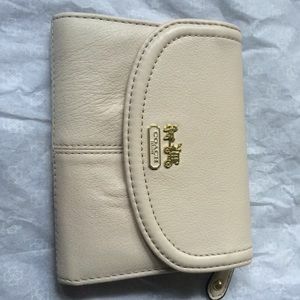 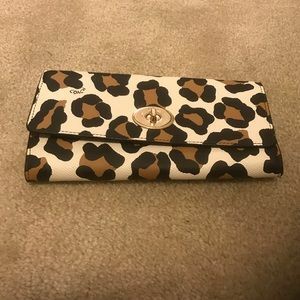 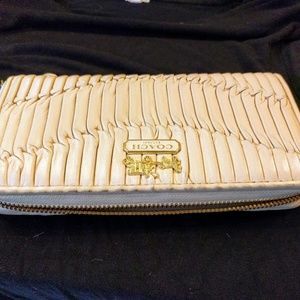 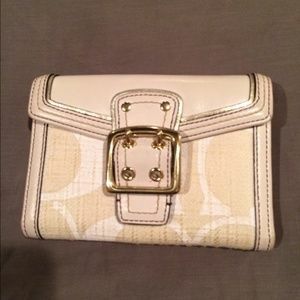 Brand new, never used Coach leopard wallet. 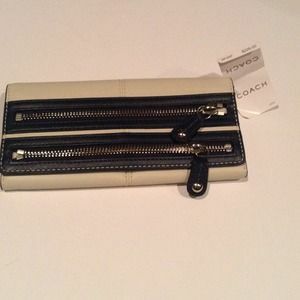 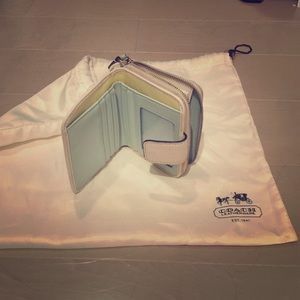 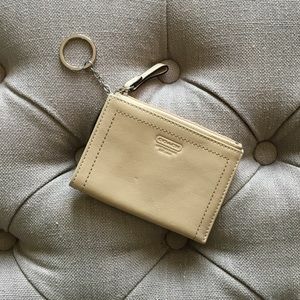 Multi compartment Coach wallet. 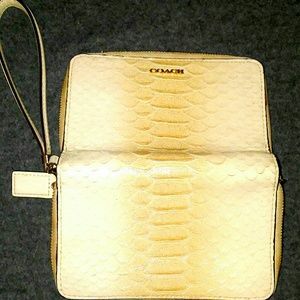 Cream/citron/mint. 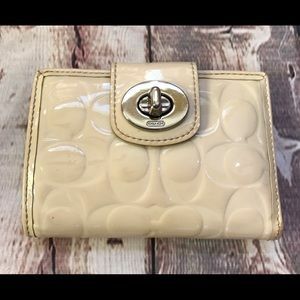 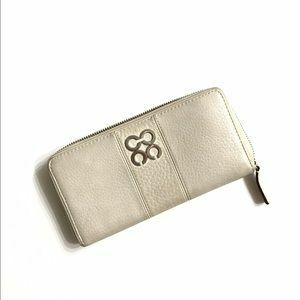 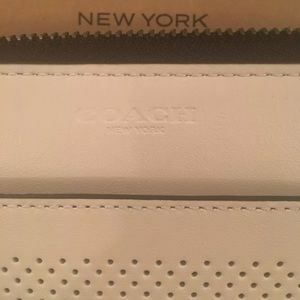 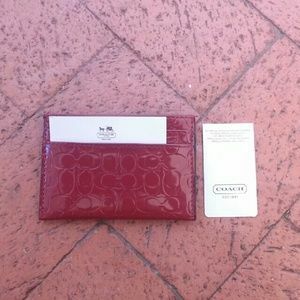 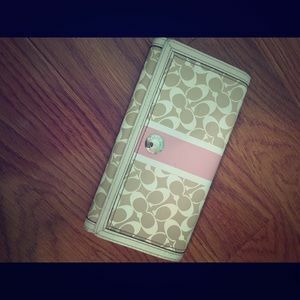 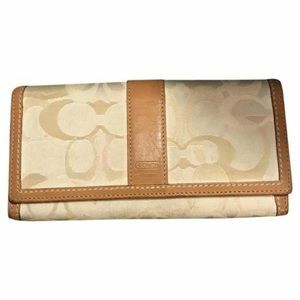 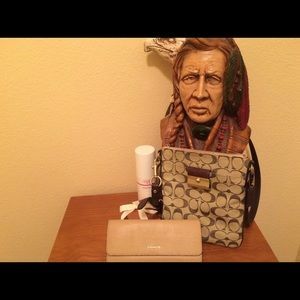 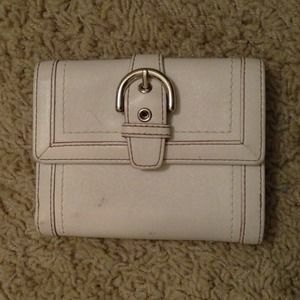 - Coach Soft Wallet in Embossed Textured Leather. 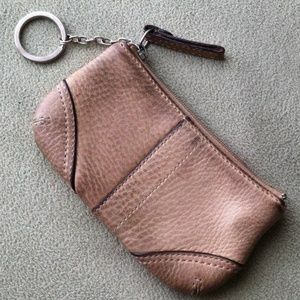 Size: 4" x 7 1/2"